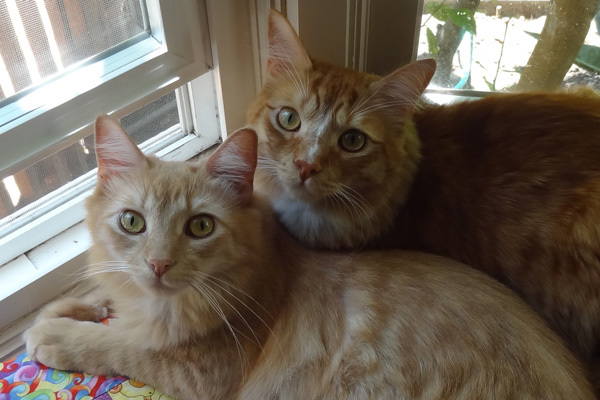 Cats on FIRE, Milo and Toby, take a break from their busy napping schedules to appear as guests on the ChooseFI Podcast. You’re listening to ChooseFI Radio. The blueprint for financial independence lives here. If you’re looking to unlock the secrets to financial independence and early retirement, you’re in the right place. Stay tuned and join a community of like minded creatures who are getting off the hamster wheel and taking control of their lives in the pursuit of financial independence. ChooseFI, your home for financial independence online. Hello and welcome to the ChooseFI radio podcast. Today on the show we are bringing on cats Toby & Milo from Emusements, and we’re going to be exploring their journey to feline independence. And to help me with this, I have my co-host, Bird, here with me today. How you doin’ buddy? Hey, Dogathan, I am doing quite well. Yeah, I’m really excited for this episode. This should be a real treat. Milo is just a very cool cat. I’ve read some of his posts about FIRE, and he has an incredible story. I’m with you on that. We’ve never met Toby before, but I am really looking forward to getting to smell him as well. Yeah, I’m just excited to introduce Toby & Milo to the FI community. And with that, kitties, welcome to the show. Thanks so much. Happy to be here. Toby’s hiding under the bed. Hopefully, he’ll emerge soon. Oh, no worries. He just got spooked by the Skype ringtone. Happens with doorbells also. Big fraidy cat. (Chuckles) So, Milo, last week when we were coordinating schedules, you mentioned to me that you are the prototypical millionaire next door. And I’m a huge fan of the late Dr. Thomas Stanley who wrote the book, The Millionaire Next Door, and I’m curious: for you, what does that mean? What is your origin story? And when did you become interested in feline finance? Did you come from an affluent family? Wait, let’s unpack that. What do you mean, “as far as I know”? Well, Bird, my first memory is from when I was about four or five weeks old. I was cold, wet and lost on the streets of San Francisco, along with my sister. I have no idea about my life before that, or what kind of family I came from. Wow, that’s incredible. What happened next? Some Homo sapien scooped us up and stuck us in a box. Actually, I LOVE boxes, so it wasn’t that bad. They took us to some place called SPCA and put us in our own condo. So, you got into real estate at a young age. How much did that cost you? Talk about house hacking! How did you get that deal? I dunno. Just lucky market timing, I guess. They also covered our medical costs. Which was great because they poked and prodded us all over, stuck us with needles, and performed some unmentionable surgery on us without even asking for our consent. I can’t imagine what it would have cost at a regular clinic. How long did you live at SPCA? Only a few weeks. I’m not sure. I don’t have the best sense of time, since I nap so much. Did you meet Toby, there? No, that came later. It turns out that SPCA is also an employment agency, so the staff there started bringing us Homo sapiens looking for work. On the second day of this, a team of four primates came in and tried to interview with my sister. She was annoyingly cute and fluffy, so everyone wanted to work for her. She rejected them right away, but I thought they had potential, so I peppered them with questions. Even back then, I was a chatty cat. Pretty quickly I realized that these Homo sapiens seemed quite capable of cleaning litter, opening cans, pouring kibble and bringing me toys. I hired them on the spot and ordered them to find me a bigger house. Milo, did you have any concerns at that point about lifestyle inflation? No, I was just a tiny kitten, so I wasn’t very savvy yet. I don’t know; she didn’t want to come along, so we decided to part ways. My new servants found me a nice house with plenty of rooms. But I was shocked to find a squatter already living in it. An orange tabby about my age but much larger than me. Yeah, he was from somewhere called Humane Society and thought he was the master of the house and staff. He seemed like a big dumb dumb to me, but I kind of liked his smell, and it turned out we both love wrestling. So, I decided he could stay and help share the cost of the house and servants. For about the next year, I was in the rat chase, just following the usual script like any other cat. One day while I was at my doctor’s office, I overhead another patient talking about the FIRE movement. More or less, but in the cat world, we call it Feline Indifference Rest Everyday. The main idea is to achieve indifference as soon as possible and enjoy its benefits much earlier in life. I thought to myself why should I have to wait until the ripe old age of 12 or 13 to start lazing around? I decided to pursue FIRE immediately. Within a year, I was fully indifferent. Milo, walk me through that. How does a modest cat like you reach FIRE from those humble beginnings and in such a short amount of time? And at such a young age. How old are you? I’m almost three years old! Incredible. What changes did you make to your lifestyle? Well, for one, I realized that I wouldn’t be able to achieve true indifference and sleep all day unless I had no money worries at all. After reading a ton of blogs, I realized I could make a few core changes and achieve indifference much sooner than the average cat. Well, the first thing I realized was that I was spending too much time and effort trying to keep up with the Catdashians. They’re reality stars, famous for living a lifestyle full of caviar and lobster. Oh, I see. We don’t watch much TV. Hey, speak for yourself, buddy! Toby and I used to be obsessed with the Catdashians, but after I heard about FIRE, I decided to live more frugally and lower my cost of living. I started by lowering my grocery bill. Toby and I went from eating a can of wet food between us per day to two thirds of a can per day. Wait, let me get this straight. You were able to decrease your can consumption from seven cans per week to about 4.5 cans per week? There’s Bird showing off his accounting skills again. Yeah, we weren’t always finishing our food anyway, and also Toby could stand to lose some weight. We switched from Taste of the Wild at about $31 for a 15 pound bag to Rachel Ray’s Nutrish which goes for about $19 dollars for a 14 pound bag. Amazing, that’s a drop of thirteen cents per ounce to around 8.5 cents per ounce for a savings of about 35 percent! Bird, we should start calling you the avian calculator. Ha! Milo, can you help us break this down into actionable steps for our audience? Sure, basically, I just went to Nile.com and compared prices. It was that easy. I didn’t even have to skip a nap. That’s great advice. We’ll be sure to include that tip in our show notes. On episode 90, the Vegan Path to FI, Jackrabbit Lowery and Sheep Schrembeck talked about the benefits of a plant based diet and synergies between the vegan and FI communities. Milo, have you considered going vegan as a FI optimization? Ummm. That’s kinda impossible. Like all cats, I’m evolved to eat meat. However, I do restrict my Homo sapien staff to a vegetarian diet. It keeps them healthy and lowers their medical costs. Plus, I prefer lean protein and can’t stand fatty meats! So, I need to keep my servants trim and fit in case an emergency situation arises where I have to eat them. Fascinating. Personally, I’m still an omnivore, but my wife and I have instituted Seed Sundays where we don’t eat any worms, bugs or rodents. It’s quickly become our favorite meal of the week. If you’re interested, I can give you my Pad Thai recipe; my family loves it. Our feline diet is also mostly grain free. I see. Bird, have you tried making it yet? Shoot, I keep forgetting. I really need to set a reminder in Todoist. Alright, I think we’ve gone down a rabbit hole. Let’s move on. Milo, what other things did you do to cut down on your cost of living? Were there any other strategies you employed to reach FI? One key for us was that we gave up our lives as city cats and became country cats. Sorry, I don’t speak French. We moved from the SF Bay Area to the Sierra Foothills to save on housing costs. I see. Did that give you more room to roam around outside? Heavens no. We never go outside. There are coyotes and fleas out there, don’t cha know that? Blech. But we do have more territory inside and two whole floors in case Toby and I need a break from each other. Milo, did you start any side hustles? I did start a blog after I FIREd, but so far I am doing it just for fun, squeezing it in between eating, grooming and naps. Maybe If I put more effort into it, I can make cats popular on the Internet and even earn some passive income while I snooze. Milo, when did you reach your FI number? I reached it when I was about 10 pounds. Toby reached it when he was over 13 pounds. He’s a big bruiser and definitely fat FI compared to me. What kind of emergency cushion do you keep? We have two big, fluffy bean bags. But I don’t reserve them just for emergencies. They are in my regular rotation of snoozing spots. Toby, on the other hand, prefers to sleep under the bed, which is probably what he’s doing now. I use Personal Capitail. I especially like their Rest Planner tool. I was able to create different scenarios and compare how they impacted my potential indifference. I used it for about two weeks, which is pretty long for my attention span. What do you think about the controversy around the RE part of FIRE? It’s a bunch of hogwash. The retirement police think that just because you reached FI you have to rest everyday. It’s simply not true. Most of us who have achieved feline indifference rest everyday AND every night. Hah, well said. Milo, before we wrap up, is there any other advice you’d like to give to our listeners? If you decide to consult with a financial advisor, try to avoid ones which are flea-based. Fleas are the last thing you need to pick up on your FI journey. Alright, well on most shows, that would be the end of the episode. But, Milo, on this show, we would love to give you the chance to tackle the hot seat. Are you ready for this? I’m about ready for a nap, but I’ll give it a shot. In a world drowning in debt and rampant consumption, trapped by the chains of lifestyle inflation, these questions highlight the secrets of those who have broken free. Welcome to the ChooseFI hotseat. Alright, Milo, question 1: Your favorite blog which is not your own. I’ll name two. The first one I started reading, and one of my favorites, is Joe Komodo’s Retire by 4. That turned me onto a lot of the concepts of early resting. Another one I really like is Our Next Lives. Turtle Hester covers a lot of good tips about how to prepare for your lives after indifference. I have six more lives to go so I appreciate her advice. Question 2: You favorite article of all time. Now this can be one you wrote or somebody else’s. Well, I guess I’ll be true to my selfish nature and name one of my own: The 7 Pillars of Feline Frugality. I wanted to write 10, but it was dinner time. Question 3: Your Biggest Life Hack. When I need supplies for my house or primate staff, I order them online. The prices are usually lower, but more importantly, the stuff comes in BOXES! It’s a great way to get free boxes. Question 4: Your biggest financial mistake. Buying a cat bed. There are so many places to sleep in a house — on chairs, on couches, on shelves, on backpacks, in boxes — who needs a dedicated bed? Toby even sleeps on the floor and on the stairs. That dummy. It’s a miracle our servants haven’t stepped on him yet. Alright, we do have a bonus question for you: what purchase have you made over the last 12 months or so that has brought the most value to your life? My servants bought some plant and garden ties to use in the kitchen as twisties. It turns out that I am absolutely crazy for them, and they have become my all-time favorite toy. Toby doesn’t care much about them, but we do both like Q-tips. You can get a nearly lifetime supply of them at Clawsco. Oh man, Milo, this has been so much fun. I’m so grateful to you for coming on the show and sharing your story. I think there’s a lot of value here for all creatures great and small. I’m sure that some listeners are hearing about your blog for the first time, and they’re going to want to connect with you. What is the best way for someone to connect with you and your content? The best way to connect with me is to scratch my head behind my ears or give me a kitty treat. But online, you can find me at emusements.com/author/milo. Hey, Milo, thank you so much for coming on the show. This has been a real pleasure. Guys, am I too late? Did I miss it? Guys? Special thanks to Katrina, Spencer and Kip in my local ChooseFI Sacramento Facebook Group for proofreading this post before publication! You’ve gotta be Kitten Me! This is Clawsome! What a creative and hilarious post. There is a lot of wisdom woven into this interview. Nice one. My parrot is envious and might have to pitch them next. She believes in “freedom of beak” and the “right to chew”. Susan – Thanks for the praise – glad you liked it. And what an honor and milestone: my first comment from Susan at FI Ideas! So happy you enjoyed the spoof! I had a great time channeling you and Jonathan while writing it. Thanks for the comment! Christina, glad you liked the post. Thanks for the comment. Hopefully, Milo will post more if he can overcome his indifference.